Forgiveness | Thoughts of a Calabarboy. 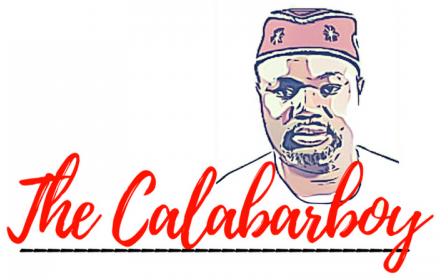 Forgiveness – Thoughts of a Calabarboy. Friendship is a gift to us all. I am not using the loose term “friends” in initiating these thoughts, but friendship. This is because I am writing about the concept itself and not the simplistic reference to persons we are acquainted with. More so because I am seeking to unearth the deeper dynamics of the operation of the concept in human interaction. So let me quickly share three benefits you enjoy when you find true friendship. Imagine having something to say and not having someone to tell. Imagine also having someone to tell but not having reliable and trusted feedback. Words flow from thoughts and expressed through the lips. However, that process isn’t complete or fulfilling until it is received by another thought process and responded to in an active conversation. Conversations help encapsulate the complexities of life into relatable soundbites that humanize our experience through resonance with another person’s journey. We were made to communicate, and through this process unburden the mind and heart, that is, the thoughts and emotions layered by the roiling issues we face each day. Conversations help unbundle perceptions, positions, and prejudices we have mustered because they are constantly challenged by other opinions and worldview. A while ago I shared my thoughts on the Ted Haggard saga and it did provoke several comments. I just saw the video below and feel kind of excited to share it on my blog. I will take sometime and consider the matter again and write something on it. But the moral of the story is simple: no one’s mess is too bad for God to make a message out of. I wouldn’t be surprised if he is not done dealing with the crisis he faced. But that then becomes the strongest platform he has to witness to other and make disciples of them for Christ. Something in him resonates with somethings in others and creates a common ground to present God’s love to other.